TeaLAB donates 2% of online sales to causes worth supporting. Have one? Let Us Know. Hannah Alto with her cow "Siracha". We had an amazing 2018 and are ecstatic to say The TeaLAB 2% program supported a lot of wonderful causes in the local community. We make were able to do some good through our contributions to the Mckinleyville FFA and the 2018 Bridge Fest! This year we were able to sponsor two local members of of the Mckinleyville FFA! The Mckinleyville Future Farmers of America chapter strives to educate young people about responsible agricultural practices and leadership skills while giving them hands on experience with livestock. Our support was used so that Hannah and Connor Alto could take the animals they raised to the Humboldt County Junior Livestock Auction! Two aliens have landed on the bridge and are determining the "Grand Emperor of the Universe"! In addition, The TeaLAB 2% was able to donate a raffle prize of our amazing Soil Builder to one of personal favorite festivals, the 2018 BridgeFest! BridgeFest is a exceptionally silly alien themed festival where the local community meets on the local bridge for a "Flying Saucer Competition" and "Grand Emperor of the Universe Competition". ​All proceeds benefited the Bridgeville Community Center which provides vital support programs and classes such as a food bank, clothing drive, and education. It's was another amazing year. We will be making another donation soon. 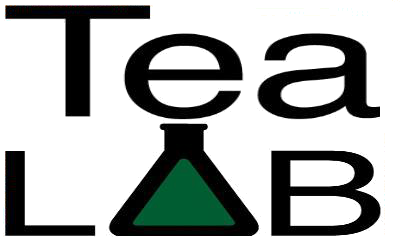 The TeaLAB 2% is going to help another good cause, yet to be determined....stay tuned. Thanks for everyone's help in this. Well, it turns out donating a pallet of garbage cans to a tiny island off the coast of paradise is a little more complex than I had previously imagined. And apparently it is not a smart tax move either, so says the accountant. The new goal is to start a non-profit that will provide funds to research the best methods for addressing refuse cycling on small islands. This will not occur this year, but overtime. Stay tuned. We apologize to anyone who might feel let down about our initial goal to help clean up the Belize Cayes. We promise that this goal will never leave our horizon. Just like with gardening, our initial vision of the perfect patch may not be the one that grows. No biggie. Just grow with it. Thanks to everyone who has made this possible. We will work even harder this year so that next year your donation makes an even greater impact. Let's clean up the world! Starting 1/1/2015, 2% of every sale goes into a fund used to purchase trash cans that will be sent to the Cayes (pronounced "Keys") off the coast of Belize in Central America. The Cayes are a true white sand beach paradise, home to the second greatest barrier reef in the world. The areas surrounding these barrier islands are both unique and fragile. Though a paradise, trash is rampant in the Cayes. Litter not only floats in on the currents, it also overflows the few under-maintained trash receptacles. Why Belize? Well, it was on a short trip to visit the Mayan Pyramids in 2012, just before the end of the world, that I stayed a couple of nights on Caye Caulker. The tiny island is such beautiful place, perfect weather, warm clear waters, tropical plant life, and wonderful people. But at closer inspection, I was disappointed to see there was trash everywhere. In the streets and alleyways, blowing in the wind, in the amazing mangrove root networks. This true paradise, plagued by plastic trash, left a major impact on me. After leaving Belize, I camped on a beach in Tulum, Mexico. It was there that I met another American that designed and stitched heavy duty climbing gear. I told him about the durable brew bags that I wanted made for a gardening project back in the states...and so TeaLAB was born. I want to give back by helping clean up the trash. I think the simplest way is to make sure that everyone and everywhere that needs a rubbish bin, has one. The goal for 2015 is to get a full pallet of RubberMaid 45 Gallon Trash Cans delivered and distributed. The goal for 2016 will be more cans, and assistance with the island's program for better pick-up and recycling services. The goals for future years would be to develop similar programs in other littered yet beautiful places. Thanks for being part of something bigger. Check here for progress updates. Our sales have outperformed way beyond our expectations. We are very close to having reaching the goal of purchasing a full pallet of heavy duty trash cans. We are now working on figuring out the shipping logistics. Stay tuned!